Christos Anestopoulos: Where east meets west meets jazz meets...classical. Christos Anestopoulos was born in Patras (Greece) in 1971. 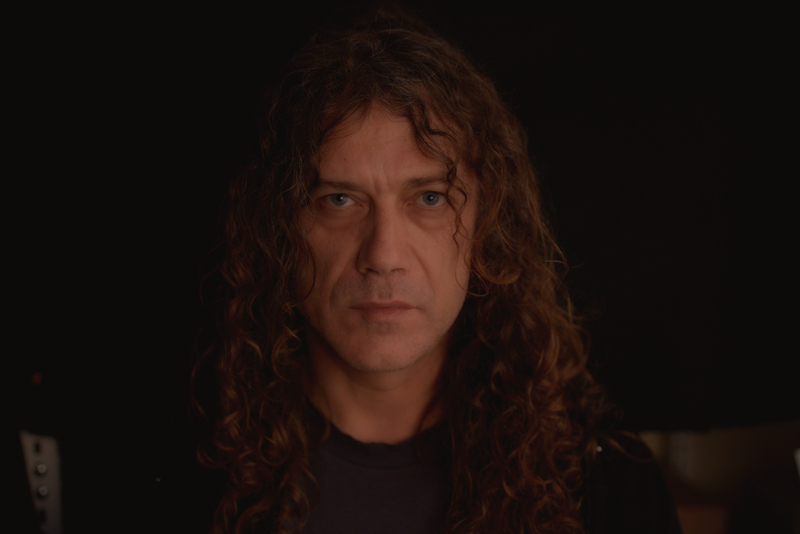 He started music lessons and in particular guitar lessons in 1986, under the guidance of Dionisis Sabaziotis. Soon after, he started composing his own music and, by 1993, presented his first pieces together with his teacher at a concert organized by Nikos Touliatos. Christos continued playing the classical guitar and, after having studied the instrument, received a diploma with the teachers Dionisis Sabaziotis, Rouli Kolokytha, and Dimitris Dimakopoulos. He also completed courses in advanced music theory and started teaching the classical guitar early on. Classes in electric guitar were added to his teaching schedule shortly after. He composed music for dance and co-operated with the dance companies of Tatiana Loverdou in performances at the Patras and Athens festivals. Christos then studied the electric guitar with the teachers Dionisis Sabaziotis, Takis Barberis, and Giotis Samaras and attended several guitar workshops by many well-known jazz musicians, such as Pat Martino, John Scofield, John Abercrombie and Markos Alexiou. Having started his relationship with jazz music early on, Christos was active in many trio-quartet bands performing in Greece and worked with musicians like Eivind Aarset, David Lynch, Nikos Touliatos, Natassa Mare Moumtzidou, Vasilis Podaras, George Daravelis, George Metaxas, Vasilis Stefanopoulos, Sotiris Douvas and many others. On top of that, his relationship with classical and modern music has been blossoming for a long time already and led to the creation of the Orange trio (violin-cello-guitar) and the duo DIADROMES (EN ROUTES duo) (sax-guitar) with the composer and teacher George Daravellis. Moreover, Christos has played his own music at many festivals (Patras, Ladonas, Elefsinas, Aishylia festival, Soundtrope festival). His first album 'Swinging over the surfaces' was released in 2003 and his second one with the title 'Wish You Could Stay', in which David Lynch, George Daravelis, Vasilis Stefanopoulos along with many musicians from all over Greece have participated, in 2014. In 2016, Chrisos co-operated with drummer Nikos Touliatos. Their new duo project based on free improvisation and experimental music toured Greece and featured many guests, like Natassa Mare Moumtzidou on vocals or Giannis Panagiotopoulos on lyra. 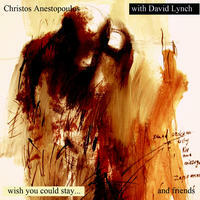 In the same year, the album 'Wish You Could Stay...' was presented live on tour with David Lynch, Vasilis Stefanopoulos and Vasilis Podaras. 2017 saw Christos co-operate with dancer and choreographer Yannis Adonioy, with whom he presented a duo project based on guitar electronics, fx, computer music and dance live on tour. Christos Anestopoulos lives in Patra, Greece. Tagged as: World, Classical, Jazz, Instrumental World, Acoustic Guitar, Electric Guitar, Folk, Saxophone, Violin, World Influenced.